Enjoying some music while taking a shower is one of my favorite moments of the day. I dislike when my bluetooth speaker runs out of juice while showering though. This water-powered bluetooth speaker is a real game changer. 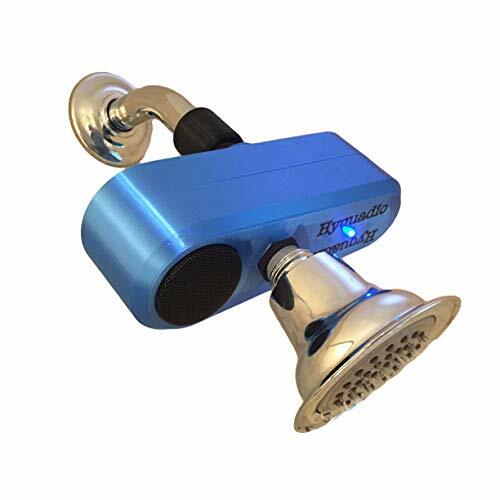 You simply mount it on your shower head, let the water run and then start playing some songs from your phone or tablet. Sounds too good to be true right? The water from your shower actually powers this Bluetooth 4.0 speaker via a hydro-electric generator. This means you never have to recharge the speaker and that it shuts off the moment you shut off the water flow. You don’t have to press difficult button combinations to pair with your music playing device either, it connects automatically to your phone when it turns on. There’s supposedly a minimal effect on your shower’s water pressure so it’s an immediate and permanent enhancement to your shower head. Honestly, they should just create all future shower heads with an audio speaker. This one of a kind water-powered speaker is made by Hyquadio and it’s their second model out right now. Check an example video below of their first model if you still have a hard time believing this speaker can function with water only. 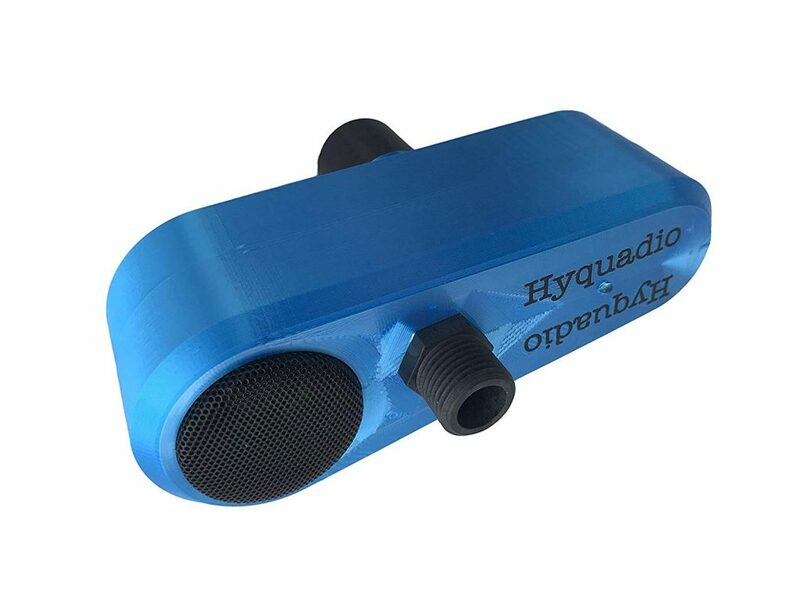 Never has to be recharged - Hyquadio has a micro hydroelectric generator that powers the speaker whenever you are showering. Turns on automatically - When you start your shower Hyquadio automatically turns on and connects to your phone. Better sound quality than the competition - Hyquadio features a Passive Bass Radiator which improves the bass response and audio quality. 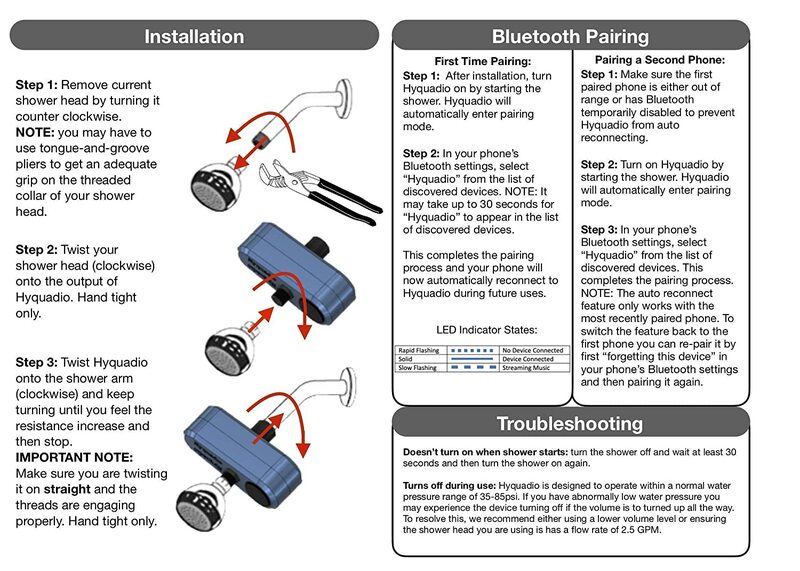 Multi User support - Any previously paired phone can reconnect to Hyquadio without having to be re-paired.